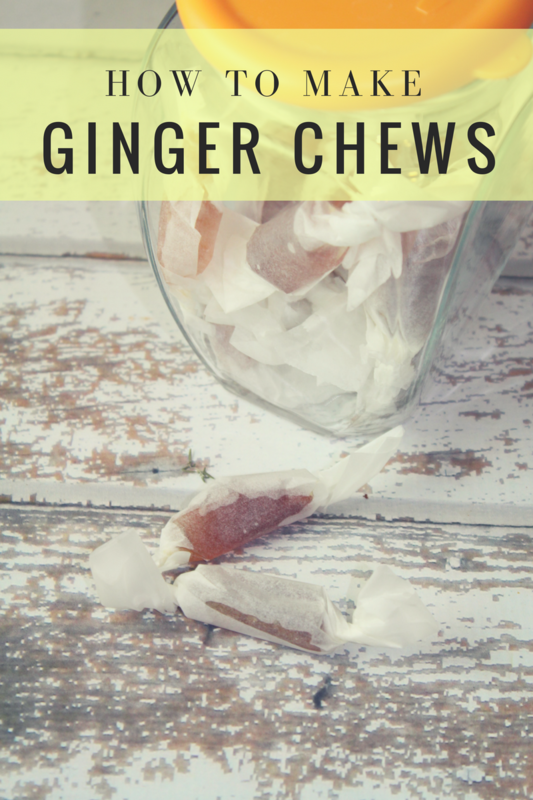 Have you ever had Ginger Chews? They are something that you should always carry with you. They are great to settle a yucky tummy after you eat something that wasn’t agreeable, or perhaps if you have nausea. Ginger is both sweet and spicy – and these chews are a mixture of both. Definitely a little hot – but not in a bad way. They are addictive, if you allow them to be – but not something you will want to eat all the time (since they do have quite a bit of sugar). Ginger is a perennial herb that thrives in most parts of southern Asia, Jamaica, Nigeria, and the West Indies. It’s wonderful for helping to support nausea, car sickness, digestion, even inflammation. It can help support muscle pain and combat morning sickness, too. Ginger contains chromium, magnesium, and zinc — key ingredients in maintaining healthy and normal blood flow. It’s also been shown to help asthma by coating the airways. Believe it or not, even though these chews are a bit spicy, my 10 year old loves them – it’s fairly common for her to have a sore tummy when we take trips so we always bring a few with in my purse just in case. Grate the ginger root in a measuring cup and pack it down to 1/4 C.
Add the ginger root to the 2 C. water in a medium saucepan and set the temperature on the burner to low/medium and let it simmer for 20-30 minutes or until about half of the liquid has evaporated. Strain the ginger, and keep just 1 cup of the liquid. Grease a small glass dish (I used an Anchor Hocking 7x4 dish) generously with coconut oil. Then lay parchment in the dish, and grease the parchment generously as well. Pour the ginger liquid in the saucepan and combine the honey and sugar - stir well, and bring to a rolling boil until the temperature reaches 260 degrees F.
Once the temperature starts to rise, keep an eye on the mixture - as the syrup gets thicker, the color will go darker and the bubbles smaller. To test the mixture and determine if it's ready, grab a cup of COLD water, and drop a bit of the mixture in the water - the mixture should not be too hard but not too runny, either. 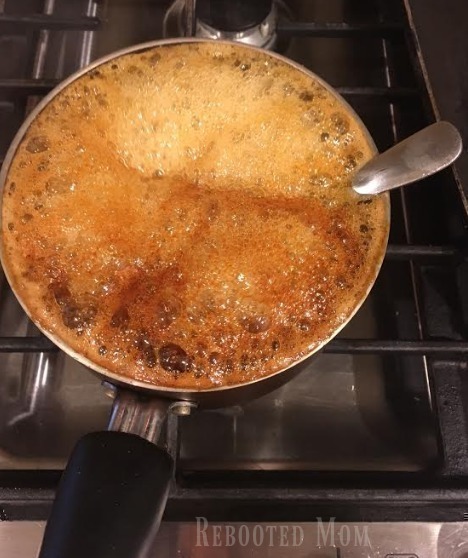 Once you believe the mixture is just right (260 degrees should be perfect), turn off the stove and pour the mixture into the greased glass dish. Pull the parchment out of the dish and lay the chews evenly on the counter. Use a sharp knife to cut small pieces and wrap in parchment paper, twist the ends and store in a glass jar. 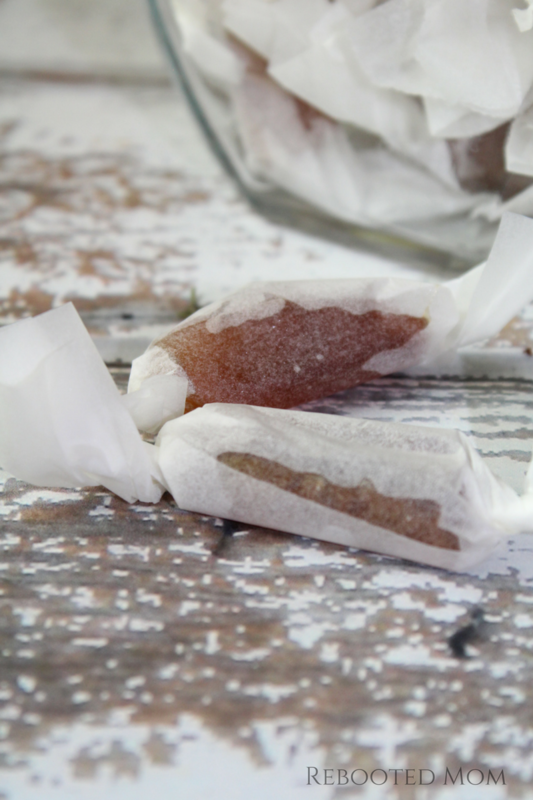 Share the post "How to Make Homemade Ginger Chews"